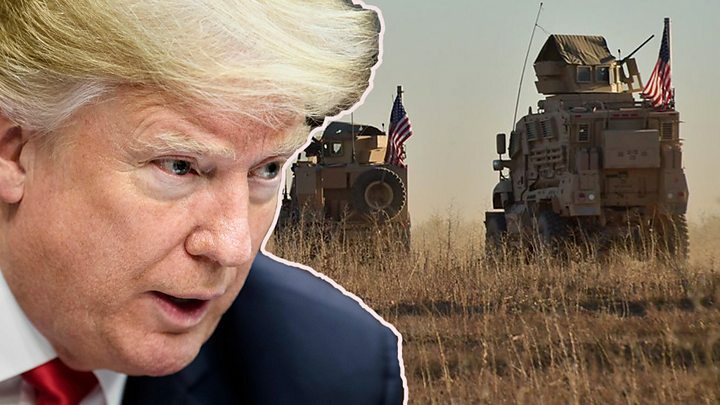 A top Republican has said US President Donald Trump committed to defeating Islamic State (IS) in Syria, despite his decision to withdraw US troops. Senator Lindsey Graham said he was now reassured of the president’s commitment after meeting him on Sunday. Mr Trump’s troops withdrawal plan was met with strong criticism from major allies, as well as senior Republicans like Mr Graham. The president and White House have yet to comment on any formal plan changes. On 19 December, Mr Trump announced the pullout of some 2,000 troops, asserting that IS had been defeated. Critics of the plan dispute this claim, arguing the move could lead to a resurgence of IS which would hurt national security. 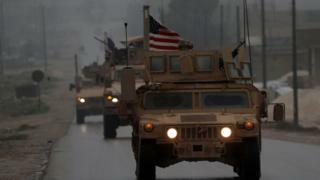 US troops have helped rid much of Syria’s north-east of the jihadist group, but pockets of fighters remain. Two people have since resigned since the decision was announced – Defence Secretary Jim Mattis and a top US official in the fight against IS, Brett McGurk. What did the president tell Senator Graham? Lindsey Graham, who had earlier called the withdrawal decision a “huge Obama-like mistake”, told journalists: “The president assured me he is going to make sure he gets the job done. “He promised to destroy Isis. He’s going to keep that promise. “I think we’re slowing things down in a smart way,” the South Carolina senator said. The BBC’s Jonathan Marcus suggested that Mr Trump appears to be washing his hands of the Middle East and handing the whole job over to Russia, Turkey and Iran. Speaking later on CNN, Mr Graham also expressed concern that the US withdrawal would leave “our allies the Kurds” in the north of Syria exposed to attacks from Turkey. What is the US presence in Syria? US ground troops first became involved in Syria in autumn 2015 when then-President Barack Obama sent in a small number of special forces to train and advise local Kurdish fighters who were fighting IS. The US did this reluctantly after several attempts at arming anti-IS groups had descended into chaos. Over the intervening years the numbers of US troops in Syria increased, standing today at some 2,000, though some estimates place the number perhaps even higher. A network of bases and airstrips has been established in an arc across the north-eastern part of the country. The US has also been part of an international coalition conducting air strikes against IS and other militants. Media captionWas Trump right to say IS is beaten?